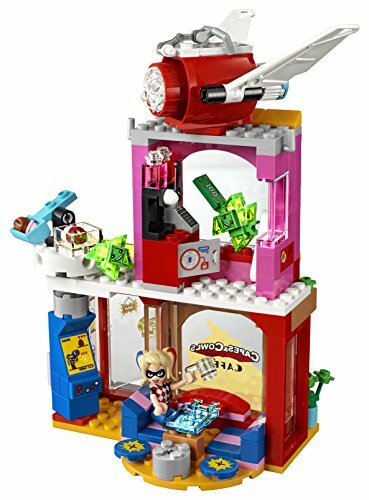 Join in the action-packed LEGO DC Super Hero Girls world as Harley Quinn battles the mischievous green Kryptomites at the Capes and Cowls Café. 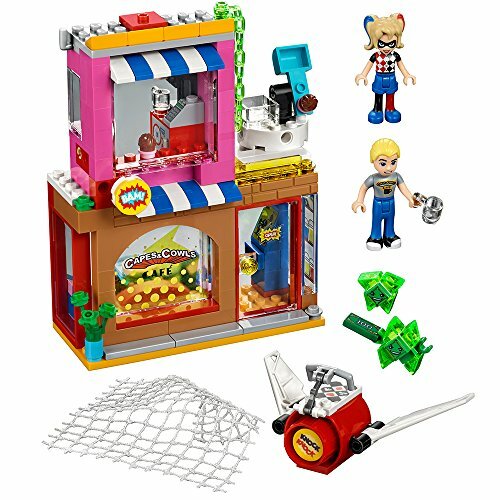 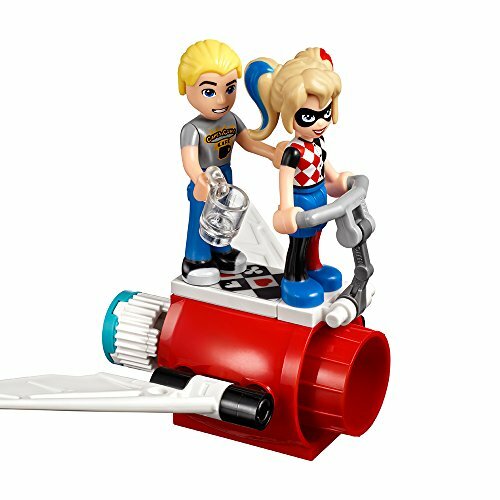 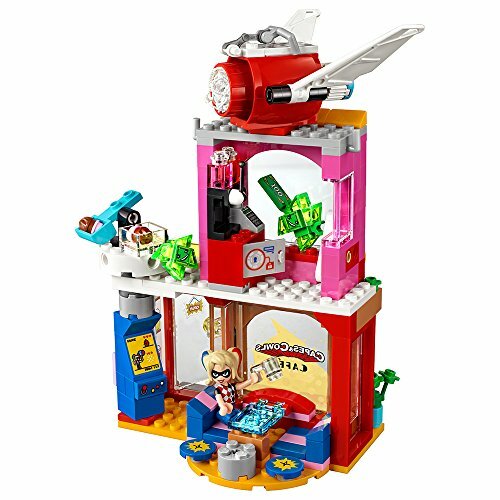 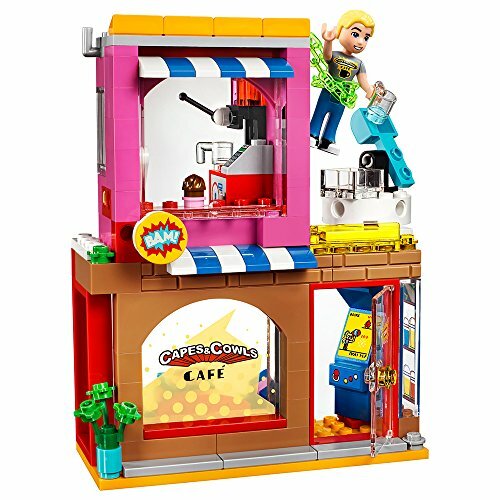 This great set features Harley Quinn and Steve Trevor mini-doll figures, a two-level café building with a cupcake catapult and rotating arcade machine, plus Harley Quinn’s jet with movable wings, a net shooter, and two mischievous green Kryptomites.Features a two-level café building with a cupcake catapult, rotating arcade machine, table that transforms into a computer and a breakable window. 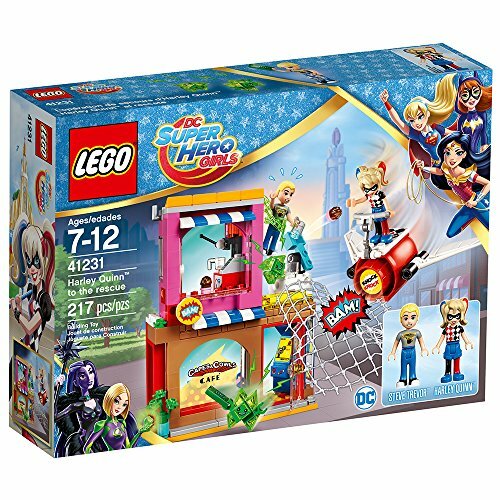 Includes harley quinn and steve trevor mini-doll figures, plus two mischievous green kryptomites. 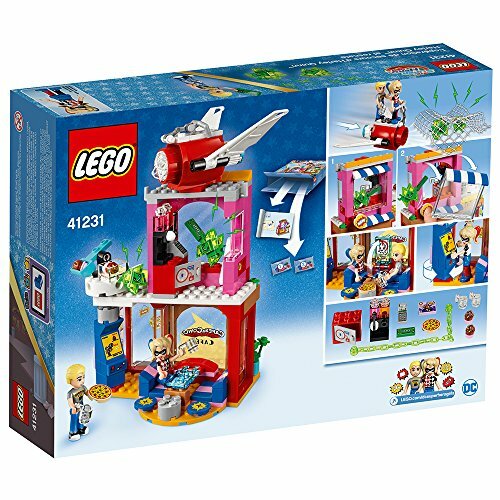 Also includes a jet with net launcher on the front and movable wings.